**Shirt colors and designs will vary. If a certain color/colors is desired, please specify in the notes and we will do our best to meet your request. 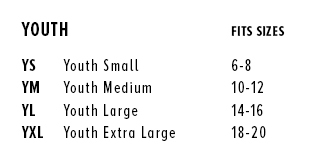 Fit: Toddler sizes may fit small, shirts are otherwise true to size.